In a significant submission at a time when its own ministers and functionaries of the ruling party and affiliated organizations are making provocative statements, the Modi government has told the Supreme Court that there was a need for a law to punish hate speeches. An affidavit filed by the Home Ministry has sought the dismissal of BJP leader Subramanian Swamy's plea challenging the constitutional validity of penal provisions on speeches and writings that could cause enmity and hatred among communities. "That the challenge of the constitutionality of section 153A of the IPC on the ground that it violates the guarantee of the freedom of speech and expression must be rejected because the section seeks to punish only (a) such acts which have the the tendency to promote enmity or hatred between different classes (b) such as which are prejudicial to the maintenance of the harmony between different classes and which have tendency to disturb public tranquility”, said the centre. "These acts are clearly calculated to disturb public order and show the limitation imposed by section 153A are in the interest of public order. Article 19(2) would, therefore, save section 153A as being within the scope of permissible legislative restriction on the fundamental right guaranteed under Article 19 (1)(a)," said the affidavit filed by an Under Secretary in the Home Ministry. The affidavit has also referred to a book written by the BJP leader. the MHA said in its affidavit. The affidavit has also put forth the points to be considered while considering the constitutionality of section 153-A of IPC. It says that if writing is calculated to promote feelings of enmity and hatred, it is no defence to charge under Section 153-A that the writing contains truthful account of past events or is otherwise supported by good authority. If a writer is disloyal to history, it might be easier to prove that the history was distorted in order to achieve a particular end as e.g. to promote feelings of enmity or hatred between different classes or communities, it said. According to the government it is not necessary to prove that as a result of such hatred speech, some consequences should be caused and a mere attempt of delivering hatred is punishable. “Intention to promote enmity or hatred, apart from what appears from the writing itself, is not a necessary ingredient of the offence. It is enough to show that the language of the writing is of a nature calculated to promote feelings of enmity or hatred for, a person must be presumed to intend the natural consequences of his act,” said the affidavit. The affidavit also says that for judging what are the natural or probable ‘consequences of writing, it may be permissible to take into consideration the class of readers for whom the book is primarily meant as also the state of feelings between the different classes or communities at the relevant tune. 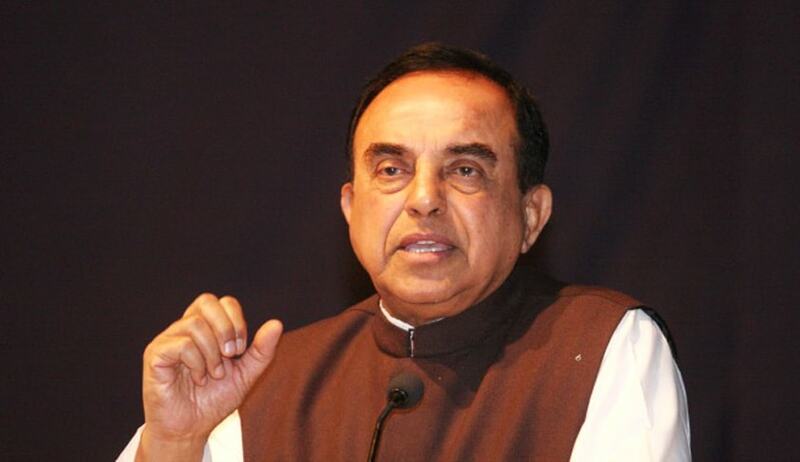 Swamy, who is facing a court case in Karimganj in Assam for allegedly delivering an inflammatory address at Kaziranga University, sought relief from the apex court in the case. He also challenged the constitutional validity of Section 153A (Promoting enmity between different groups on grounds of religion, race, place of birth, residence, language, etc, and doing acts prejudicial to maintenance of harmony) of the Indian Penal Code. Earlier, on May 21, a judge of the apex court had recused from hearing his plea challenging the validity of some penal provisions relating to "hate speech". The apex court was hearing Swamy's plea against the order of an Assam trial court issuing an NBW against him for failing to appear before it on March 19 in a case of alleged hate speech. The NBW was issued on June 1 by a court in Karimganj on a complaint accusing him of allegedly delivering an inflammatory address on March 15 at Kaziranga University. The Karimganj court had ordered that the arrest warrant be complied with on or before June 30. Proceedings in the case have been stayed in the Assam court. Read the Full text of Counter Affidavit here.